Gold jingle bell with star cutouts measuring 2.75 inches. 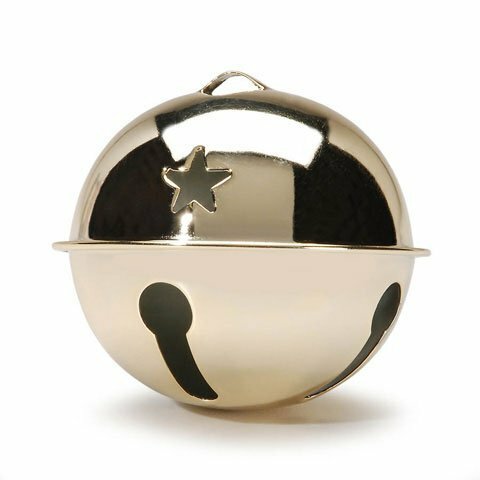 Add joyful sounds to the holiday season with this jingle bell. Perfect for home decor projects, napkin rings, decorative wreaths, jewelry pieces, gift wrapping, and more! Hear the jingling chimes when it is used to adorn things that move - like door decorations or a pet collar! 1 piece per package.